Jumping into online dating comes with certain fears and hesitations. This is especially true if you are a silver single who has been off the market for some time and unsure whether the rules of the game have changed. Well, rest assured they haven’t and dating is just as fun, exciting, and deliciously complicated as it was twenty or thirty years ago. If you are interested in connecting with other like-minded individuals online, DateOver60 may be right for you. It is a dating service geared toward seniors who are looking to find like-minded individuals for casual friendships, companionship or even marriage. But, does it have what it takes to get you to dip your feet into the dating pool again? Find out more in our detailed DateOver60 review. Signing up for an account on DateOver60 is free, swift, and relatively straightforward. Before you even get to the registration process, you are given the opportunity to browse through existing members’ profiles via the various categories listed on the homepage. That way, you can get a better idea of what awaits you when you register. DateOver60 is committed to finding you a match. Apart from offering various features and even advice on how to stay safe when dating online, it is also a part of the Online Connection dating network. What does this mean for you? More matches! Your DateOver60 profile will also be visible on other general and senior dating websites that are connected to that network as a result, thus increasing your chances of meeting your match! However, if you do not want to be visible on other dating websites, you can always update your privacy settings and stick to the DateOver60 platform alone. 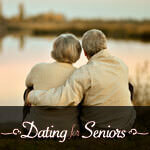 Putting it simply, DateOver60 is not exactly the prettiest of online dating websites out there. Cluttered and a little outdated in terms of design and color, it doesn’t really bring out the enthusiasm and the gentleness of the concept it is representing. The layout is basic and relatively simple in structure and finding your way around should not pose a problem. However, once you step right into the heart of the website, this is when things start to feel a little crowded. Namely, one too many pop-up ads offering you service extensions amongst other things can prevent you from browsing the website in peace. Those who are not tech-savvy, for example, might need some time getting used to where everything is and what to ignore in order to have a pleasant and hassle-free online experience. Luckily, what DateOver60 lacks on the ‘looks’ front, it definitely makes up for in the features offered! From browsing through hundreds of pages of member profiles to sending flirts that are ingeniously categorized by sections titled Ice Breakers, Humorous, Passionate or Expressive, DateOver60 gives you all the tools you need in your search for that special someone. The free account that you initially start out with enables you to create your profile, upload photos and videos, and search for other singles in your area. You can also see who is online and who was online today and this week to get a better picture of the activity level for different members. More importantly, you can block or delete any unfavorable profiles that come your way! Moreover, you can receive and send up to 10 flirts to 10 different profiles and even browse profiles by location and recent activity. The matches you receive, which you can either choose to pass or accept, can be viewed in the Meet section. As far as the search options go, there is a standard basic search linked to the free account that allows you to adjust the settings and search by either gender, age, only photo, and online now. In the Chat section, as its name suggests, you can chat with other members. 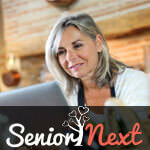 The Senior Chat and the Singles Chat are open for free members and you can even use your webcam! However, if you wish to gain access to other chat groups or Videochat, a premium subscription is required. In addition to everything else that the free account includes, premium subscriptions also give you unlimited messages and flirts and the ability to view full-size photos and videos posted by any user. Seeing who likes you and who would like to meet you is also included in the premium subscription as well as the option to see profiles in full. Moreover, with the premium package, you can use the advanced search settings and look for profiles according to their interest or screen name. Chatting directly with the people you like is also made available. Want to increase your chances of being seen? DateOver60 also offers a Featured Member option for its premium subscribers where your profile is shown on the front page. With this feature, you will increase profile visits, get more messages, and show other members that you are serious. There are several premium packages on offer, but if you are unsure whether you will be able to commit to either one of those straight away, you can always choose the 5-day paid trial and explore your options first. It is important to note that DateOver60 will auto-renew your subscription unless you cancel it at least 24h before expiry. Open to members from all over the world, DateOver60 has acquired a relatively vast and seemingly diverse member base since its inception in 2011. Welcoming all ethnic and educational backgrounds as well as all sexual orientations, the site is constantly growing and there are new senior members joining every day. As is the case with most online dating sites, there are more women than men, but DateOver60 has made sure that both genders are equally and fairly represented. 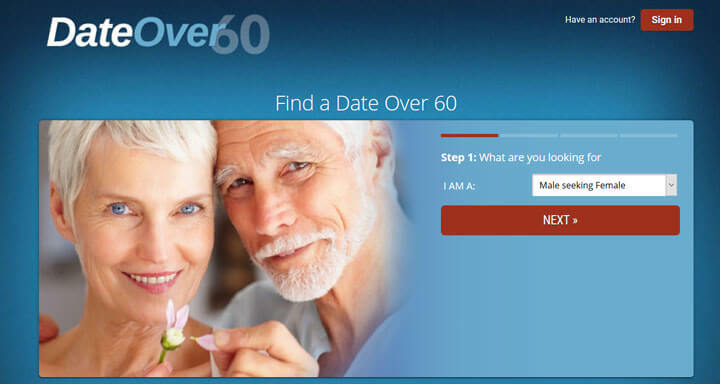 Looking back on our DateOver60review, it is safe to say that although it is not the most modern-looking dating website on the market and there are a few glitches that can prevent you from browsing in peace, DateOver60 definitely shouldn’t be overlooked as an online dating option. Offering an array of services and features as well as relatively decent premium package prices, there is a whole new world to discover here for seniors looking to find dates, love, and companionship. I found it difficult to get around at first. But, then once I learned how it all works, it was easy. The features are fun and I particularly liked being able to block or delete any users I don’t want contact with. My first match lived almost 300 miles away so that was disappointing. I will stick around and see if anything else comes my way. I have been locked out of my account for 5 days as it didn’t want to accept my password. The customer service tried to help and after they finally managed to unlock it for me, I noticed that half of the information was missing. Not too sure what happened there and not sure if I am going to go back and retry. I am having a great time! My daily matches are fun to look through and I already initiated contact with several ladies out there. No official dates just yet but here’s to hoping that one will manifest soon.